20 Pounds More Paper Recycled! Good work everyone at GEMS! As of 2/13/12, this week everyone together recycled over 140 pounds of recycled paper! This is twenty pounds more recycled paper than last week! 3B Recycle Team Leaders 2011- 2012! Listen for the upcoming school-wide announcement as we are so proud to help our wonderful planet Earth! Ms. Silagi’s “Data Dudes,” Anthony and Aaron, compile data for our school paper recycling program. Through weekly announcements, the students inform our school community about the amount of paper that has been collected each week. 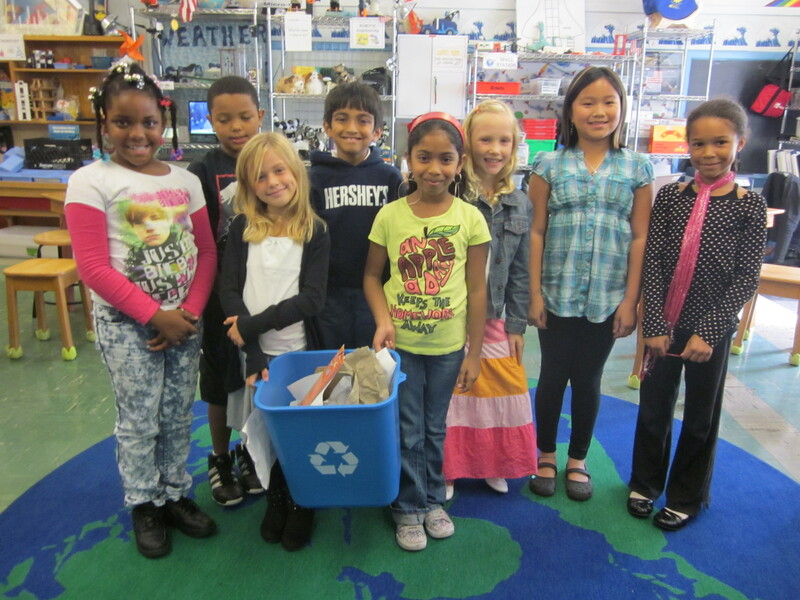 Third graders all inspire us to help the earth each week by reducing, reusing and recycling our paper! Total is 57 pounds of recycled paper! Our total for this week is 57.05! Wow!Tthe reading room has recycled 11.50 !!!!! I hope you keep up the awesome recycling!!!!!!! 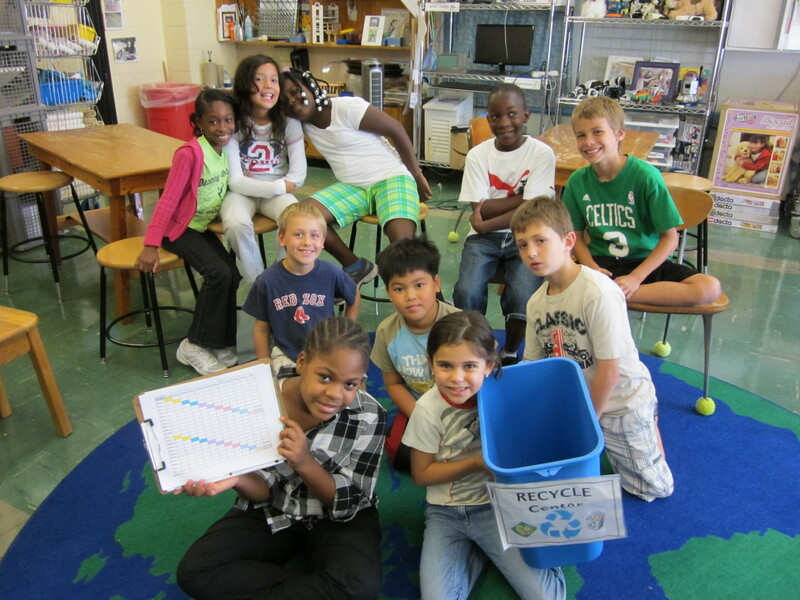 Ms. Marques’ third grade class learned how to record on the Recycle Kids website/Blog weekly the amount of recycle paper collected in the lower grade wing each week. Look for upcomming comments on the Recycle Kids Blog! Also, sign up (right hand side of page) to recieve email notification when comments or changes appear on this website! 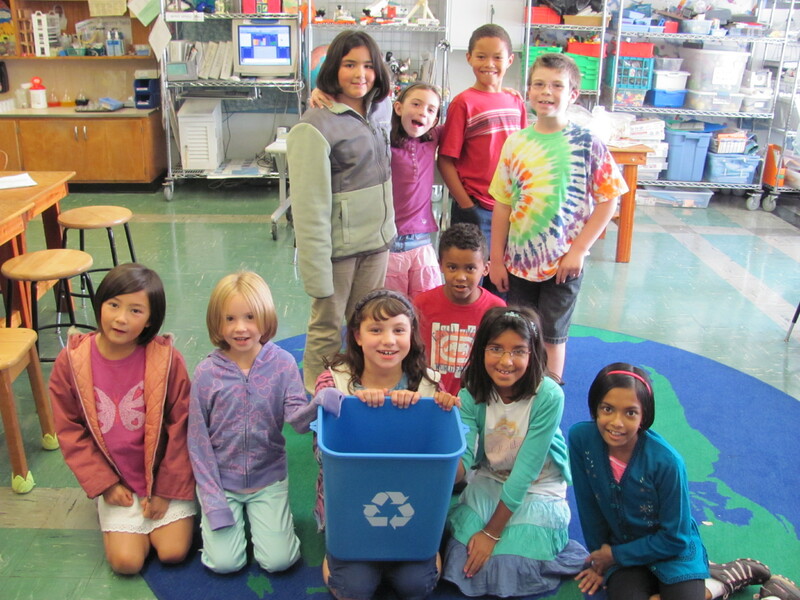 Student Recycle Program Continues at EHGEMS! Team 3 Leaders began training today for the important job of helping our school recycle scrap paper to help save trees and energy! Students will use math, science and communication skills to help other students and adults save paper by reusing scrap paper and recycling used paper. Thank you grade three scientists! Grade 3 Visits The CT Recycle Museum! Our class visited the garbage museum! We learned where the trash goes. We learned that plastic can be made into coats and jackets. Don’t worry; it gets cleaned. It was really interesting. We even saw a tipping truck tip on the tipping floor 2 times! A tipping truck is a truck that pushes the garbage out of the truck by lifting the back of the truck up using gravity pull it down on to the tipping floor. The tipping floor is the floor were the tipping trucks tip the garbage and the garbage gets dumped.The trip was EXCITING! In the end we all got to make kissing frogs out of recycled materials. It was fun! I can’t wait for another class to visit the garbage museum! Reminder from Grade 3: Recycle during the Thanksgiving Holiday! Remember to recycle your Thanksgiving paper and cardboard packaging! Students work toward school record! 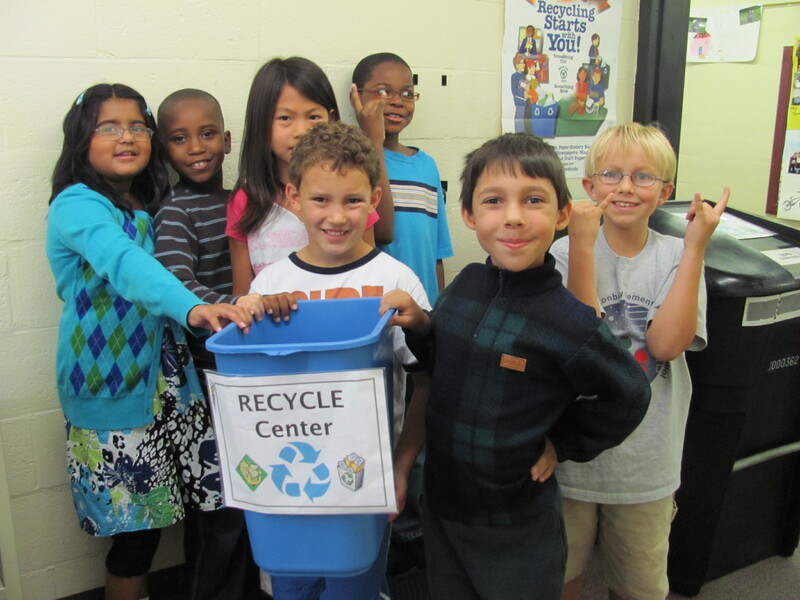 Third graders continue their efforts to help EHGEMS impr0ve their scrap paper recycling. The total paper collected is recorded on the page to the right. It is Recycle Announcement Day! Last week the amount of recycled paper was ________ pounds. We are trying to break our school record of 109 pounds collected in one week. Use both sides of all paper and then put your paper in the recycle bin. Help save the earth! They are Really getting into there work!